Bob Yin of Waterford generously donated 2 tickets to a Toronto Maple Leafs game, to raise funds for The Children’s Aid Society of Haldimand and Norfolk’s “Little Dreams, Big Dreams”. The lucky winner of the tickets was Rob Clarysse of Delhi, and the CAS who raised $1,670. 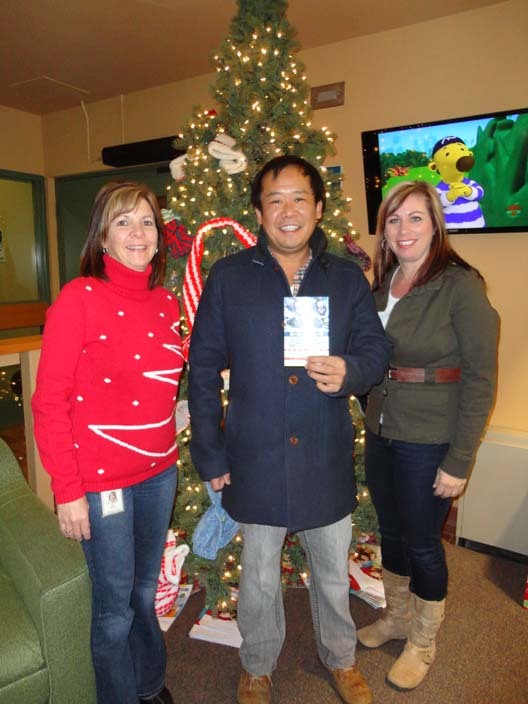 Thank you to Bob Yin for thinking of us and helping children this time of year – and to all those who bought tickets. Pictured here are Bob Yin of Waterford (centre), Shari Gardener and Kelly Wright of the CAS.